wellness shake for breakfast. 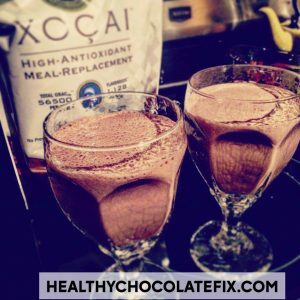 This chocolate diet shake is gluten free and dairy free as well. 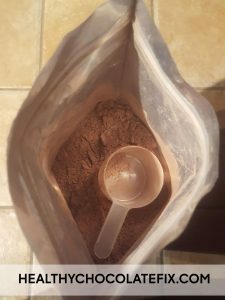 I also enjoy Beyond Healthy Chocolate Belgium Nuggets, Xobiotics and power squares which are also gluten and dairy free. I love this low calorie option as the Beyond Healthy Chocolate Company power squares are just 33 calories each! I also like these because they are high antioxidant and flavonoid rich. I fell in love with them so much I became a promoter to share the products and to get my products for free. I am Lynette Henk, Beyond Healthy Chocolate promoter with Three Sons Marketing LLC of Florida I can be reached at 941-216-5727, at [email protected] or at ColdPressedChocolate.com. Those interested in wholesale pricing or starting a home based business, feel free to call us at 941-216-5727 or visit LiveForChocolate.com.